During pregnancy, the health of the mother can directly affect the health of the unborn baby. Having a fever during pregnancy can have a catastrophic effect on the baby depending on the intensity of the fever and the trimester it occurs in. Any pregnant woman who experiences a fever should contact a doctor immediately for medical attention. Additionally, pregnant women should avoid hot tubs and saunas that will increase the body temperature outside of the normal healthy range. A fever that rises above 103 degrees can cause a miscarriage especially when it occurs during the first trimester. During early fetal development, high temperatures can disrupt the development of certain proteins, leading to a miscarriage. A fever of this magnitude during the third trimester will usually not result in such devastating consequences since all the major development has taken place and the baby is simply gaining weight at that point. High temperatures during the first trimester have been linked to birth defects, particularly neural tube defects. Neural tube defects affect the brain and spinal column. High fevers increase the risk of these defects because full development of the brain and nervous system occur during the first trimester. When a fever disrupts the development process, defects can occur. When a fever is the result of an infection, particularly a kidney or uterine infection, preterm labor can occur. These infections can result in the mother’s body attempting to deliver the baby prematurely. 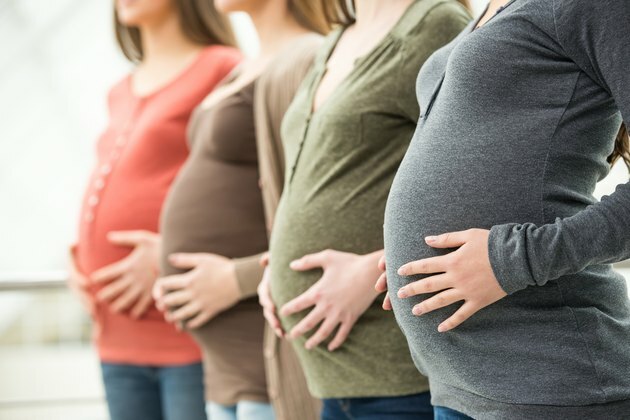 It is for this reason that pregnant women should always contact their physician or health care provider anytime a fever is detected to determine the cause and for proper treatment.